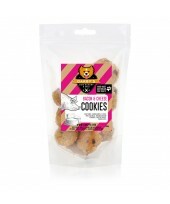 All our treat ranges are designed especially for dogs and contain only locally-sourced, Australian produce and human-grade ingredients. All natural and dog-safe. 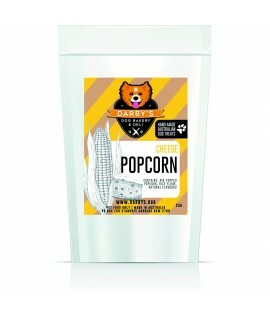 Deliciously light, air-popped kernels of corn lightly seasoned with natural cheese flavours. Perfect..
Darby's isn't your average dog treat brand. We take 100% Australian human-grade ingredients and turn them into gourmet food items your furry-BFF will be drooling for! Why should hipster hounds miss out on the food revolution? We're here to make sure they don't with items like cookies, donuts, jerky, popcorn and seasonal faves like doggie ice cream and puppucino! © Copyright 2018 Haus of Harley Group. All Rights Reserved.